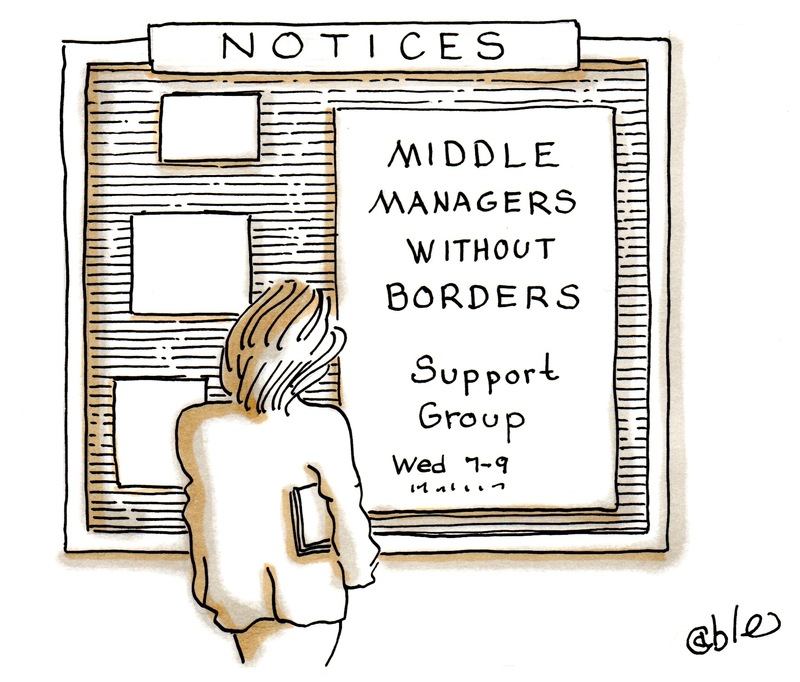 MIDDLE MANAGEMENT, THE FORGOTTEN HEROES! Organizations must begin to look at their middle management teams as an integral part of their strategic visions. As healthcare becomes increasingly complex and organizations must transform themselves to compete in such things as patient satisfaction, patient outcomes and cost containment: middle managers hold the key to their success. As nursing leaders we must transform ourselves by becoming knowledgeable about who we are and how we can work “Smarter not Harder” and be effective. We must also empower ourselves to ask for what we want and need so we can take care of ourselves, our staff and our patients while implementing the visions of our companies and our profession. The role of the front line nurse manager has become more stressful today due to the changing healthcare environment. Not only are some managers on call 24 hours and seven days a week, they are held responsible for improving quality care, and patient safety. In addition, they are responsible for their own clinical practice and the clinical practice of others even when they are not there. Middle managers endure the increased need to multitask more and more each day. Yet many nursing managers are not treated as one who holds real power. Traditionally, nurses receive little credit for their contributions to the successful outcomes of their patients. Nursing leaders also receive little credit for getting the job ‘done’ from their leadership and endure lack of respect from staff. These contribute to job dissatisfaction among nurse leaders. Job dissatisfaction leads to apathy and decreased effectiveness as a leader. 1. ‘In line’ for a promotion based on seniority. 2. Hand-picked by a friend in management. 4. ‘Pushed’ into the position. However they are chosen, there is little initial or ongoing training for the new manager. They are expected to perform as a leader who understands how to manage budgets, staffing, discipline and people. Most learn by trial and error. Support is ‘hit and miss.’ The skills that the manager learns are sometimes enhanced if they further their education on their own. This education can come in the form of formalized degree programs, coaching and workshops but usually it’s on the job training. Experience is a great teacher but without guidance, mentoring and training it can become very dangerous. Nursing leaders must be carefully selected, developed in their roles, listened to and supported in their decision making. Nursing management can positively influence the accomplishments of a healthcare organization. They translate the strategic goals and objectives of that organization and have them realized at the operational level. The core responsibilities of the nursing leader are to assure delivery of quality, cost effective nursing services and management of the environment in which nursing is practiced. Nursing managers need to come out of the shadows. They need to ‘marry’ their clinical knowledge with business savvy. Whether you are seasoned or new to management, understand that leadership is a position of service. Our service is not only to our patients but it’s also to each other. We need to abolish the phrase “Nurses Eat Their Young” by taking care of ourselves and mentoring others. The best way to gain something is to give something first. You became a leader because you believed you could make a difference. If you think that your leadership is all about you then you are operating with a closed mindset. It is about you but it’s not ALL about you! All is not lost. You can make a difference in your life and the lives of others. Begin by finding someone to mentor. Share your wisdom. (Yes, you have wisdom.) As you live your nursing legacy in real time, in real service and with real power, you will gain so much more. Ask for what you need. You deserve it. Giving all of you and leaving nothing for yourself is not the way to prosper in the long run. It’s about balance. Middle managers will be forgotten only if they continue to allow themselves to be forgotten. I am calling on all nursing leaders from the charge nurse to the CEO to begin to change our motto from “Nurses Eat Their Young” to “Nurses: We Take Care of Our Own!” You need a renewed mindset and some new tools to do it. I can help! Many nurses I work with have regained their power base and enjoy leadership again. Visit my website http://www.LifeCoachRN.com and get more great information. Contact me for a free “Personal Care Plan Assessment” ™. This is where we can find out what your needs are and whether you can benefit from my services. Naomi is a Registered Nurse, Certified Life Coach and Motivational Speaker. She is owner and CEO of Consults Unlimited Inc., a Professional Life Coaching company. She is known as the Life Coach RN. With over 30 years of nursing experience, she has been in management for over 19 years. Her nursing practice includes bedside nursing, Hospital, SNF, Homecare and other areas of healthcare. Credentials include a Master’s Degree in Health Services Administration, several certifications, military service and work with several community and professional organizations.